This is the James E. Creary House, at 609 E. Fourth Street. The house is considered an example of the Colonial Revival style, although the Mississippi Department of Archives and History notes that there are Victorian influences. The wraparound veranda expands, at several points; this picture shows a rectangular extension that forms a two-story porch, at a side entrance to the house. 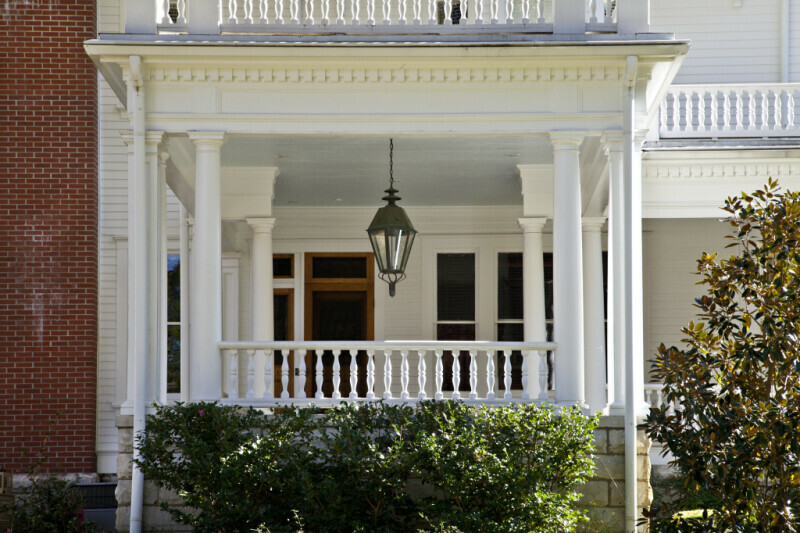 The porch is supported by a mix of round and square columns.